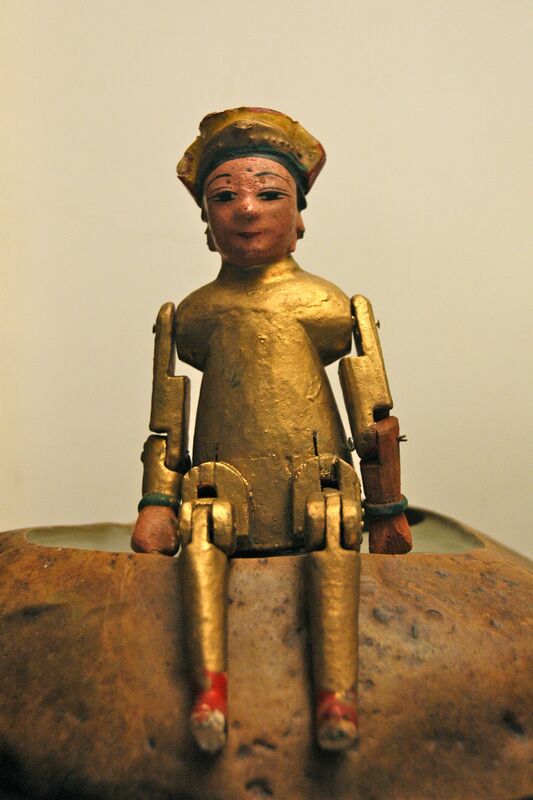 This wooden figure is covered in gold leave with painted features of the face (unfortunately the costume is no longer present). This particular figure has small bounded feet in red shoes. The Sea Goddess is believed to have the power to protect those at sea. Traditionally, the figurine is paraded at festive activities such as the Sea Goddess birthday (3rd Moon, day 23) blessing the people in the area.